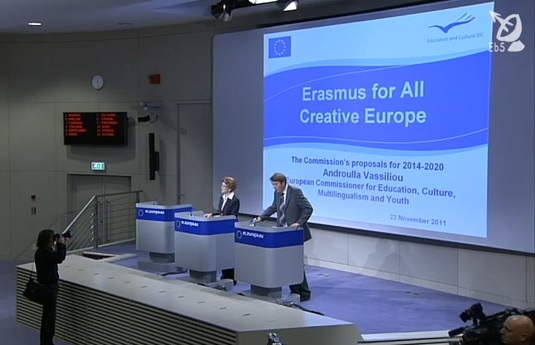 On 23rd November 2011, European Commissioner for Education, Culture, Multilingualism and Youth Mrs Androulla Vassiliou announced the new ‘Erasmus for All’ programme which, if accepted by the European Parliament and Council (27 Member States), will be adopted from 2014 onwards. Up to 5 million people, almost twice as many as now, could get the chance to study or train abroad with a grant from Erasmus for All, the new EU programme for education, training, youth and sport proposed by the European Commission. Among them would be more than 2 million higher education students, more than 700 000 vocational students and nearly one million teachers. More than 300 000 full-time Masters students would also benefit from a new loan guarantee scheme set up with the European Investment Bank Group. The seven-year Erasmus for All programme, which would have a total budget of €19 billion, is due to start in 2014. The Sport and Active Leisure sector in Europe is set to be a major benefactor of the project with €238 million funding foreseen for European cooperation in sport between 2014 and 2020. This means an average of €34 million per year during seven years. Support will be given to transnational projects involving two or more partners, non-commercial European sport events of major importance, strengthening the evidence base for policy making in sport and capacity building in sport. Beneficiaries will be public bodies and civil society organisations active in grassroots sport. 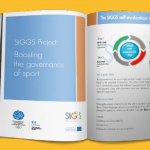 The support should help Member States and sport organisations implementing guidelines and recommendations in areas such as good governance, dual careers, participation in sport and physical activity. Mrs Vassiliou spoke specifically of the intended impact the Erasmus programme will have on the sector: “Investing in education, training and sport is the best investment we can make for Europe’s future. Investing in transnational activities that strengthen grassroots sport in Europe can make an important contribution. The new programme will fund valuable European sport projects and contribute to the development of non-commercial sport organisations“. EOSE has worked to support the development of a qualified workforce and mobility in the EU and recognises the opportunity of the Erasmus for All programme in creating a generation of well-trained individuals who are comfortable with the concept of working and living abroad and welcomes the announcement of such a significant programme. For further information about the Programme please visit the special “Erasmus for All” page. 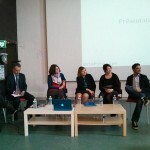 Furthermore Mrs Vassiliou’s full press conference can be seen here.